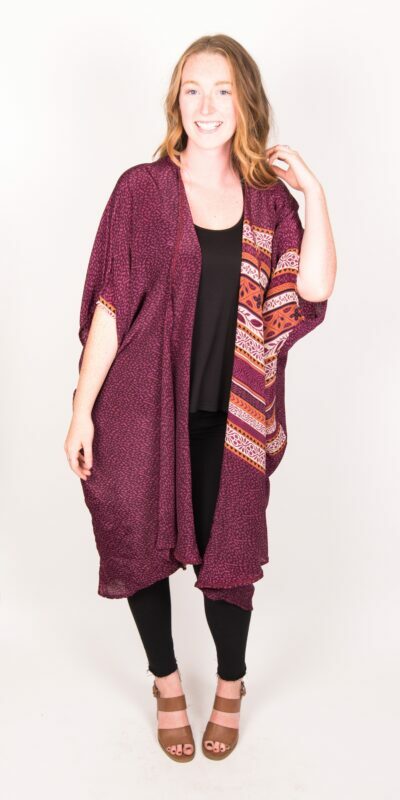 This Kimono is ONE SIZE and truly fits all sizes. With a hi-lo hemline, its the perfect layering piece over a simple T-shirt, jeans or dress. It goes with all your wardrobe basics as well as makes a great beach cover-up.